For most dancers, the ultimate goal is to become a performer. Whether you are starting out, a struggling full-time student or an emerging professional, the dancer’s life, with its constant rehearsals, auditions and general nerves, is a path that culminates to the performance. But the choreographer’s path is generally shrouded in a degree of mystery. It seems that some dancers with a creative streak emerge at the waning of their performance career with choreographic credits. For those with a desire to create as well as perform, what is the process of honing one’s craft to become a choreographer? How does the transition from dancer to choreographer occur? Does it simply happen via osmosis? There are also non-performers who are drawn to creating dance — where do they start? Rafael Bonachela. Photo by Ben Symons. 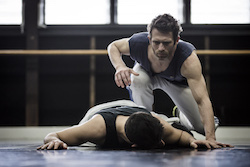 And who better to ask than Rafael Bonachela, Sydney Dance Company’s artistic director and world- renowned choreographer with a huge body of creative and collaborative work behind him. Bonachela also oversees the New Breed initiative, along with Lisa French, program director of Carriageworks. The program highlights and supports emerging choreographers, providing support and a platform to hone and showcase their ideas and work. We asked Bonachela to share some of his experiences on the path as an emerging choreographer, as well as to outline some key qualities which may be required for anyone planning to head in the same direction. #1. Know the source of your desire. The drive to create dance is just as powerful as the drive to perform. For Bonachela, the desire to create dance arrived as early as eight years old. Yet it was this spark that fueled his desire to create as well as to perform. Fostering and exploring this desire is what gives shape to the direction and the choices that choreographers make throughout their careers. SDC New Breed 2015, ‘Conform’ rehearsal. Dancers David Mack and Petros Treklis. Photo by Peter Greig. #2. Get into a space where dance is created. While the desire to create dance has many different personal sources, the choreographer’s craft can only be learned and developed in spaces where the constant interplay between choreographer and dancers is played out. This often means working in a world class company in any capacity and to be surrounded by the ground-level detail of creative production. This enables you to see how other choreographers work, how dancers are essential co-creators, and how to work with other professionals to build the various dimensions of a theatrical experience. 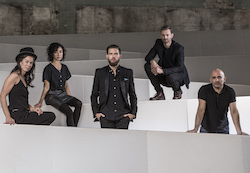 New Breed 2015 choreographers (L to R) Fiona Jopp, Kristina Chan, Daniel Riley, Bernhard Knauer, with Rafael Bonachela. Photo by Peter Greig. Emerging choreographers need to recognize opportunities to create and present their ideas, and once that opportunity comes along – seize it! In Bonachela’s case, some of these opportunities were created by pure determination. New Breed 2015 choreographer Kristina Chan. Photo by Peter Greig. Opportunities are also available on publicised pathways, such as various workshops, residencies and grant funding, as well as competitions, which was Bonachela’s experience. See Dance Informa’s January 2016 edition for Part 2 of “So you want to be a choreographer”, where we look at developing your craftsmanship, cultivating your uniqueness, as well as building networks. We’ll also provide resources and information on a range of choreographic programs and initiatives available in Australia. 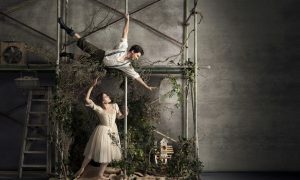 Sydney Dance Company and Carriageworks announced 2 November 2015, that the four works in their New Breed 2015 program, showcasing Australia’s up-and-coming choreographers, will make their debut on the international stage. The newly created pieces – by independent dancer/choreographers Daniel Riley and Kristina Chan, and Sydney Dance Company dancers/choreographers Bernhard Knauer and Fiona Jopp, will be presented under the New Breed banner at Germany’s renowned Festpiele Ludwigshafen, on November 26. 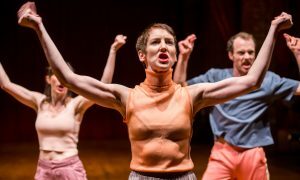 This is ahead of the highly anticipated Australian premiere season of New Breed 2015, running from December 8 to 13 at Sydney’s Carriageworks. Photo (top): Sydney Dance Company in rehearsal for Daniel Riley’s ‘Reign’. Dancer Janessa Duffy. Photo by Peter Greig. 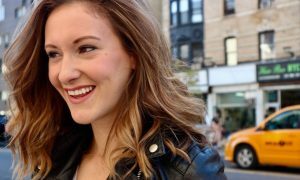 Thank you, Elizabeth; for your insightful and inspiring article!